These choices are important to you, and you can rest easier knowing that they are going to be respected. Here are five ways to make sure that your funeral arrangements are honored and carried out. While it is common to include your funeral plans in your will, in reality the will is rarely read until after the funeral has taken place. Wills are typically stored in a safe, safety deposit box, or with a lawyer. The reading of the will is often one of the first things done after the funeral. So while yes, it is a good idea to include your final wishes in your will, you should also write them out separately and keep them in a location where they can be readily found. Keep a digital file on your computer so that you can easily find and revise it, if needed. Also create a folder in your file cabinet, ideally in a conspicuous place and well-labeled, to store a few printed copies. Your funeral plans and wishes do no good if you do not tell anyone about them. 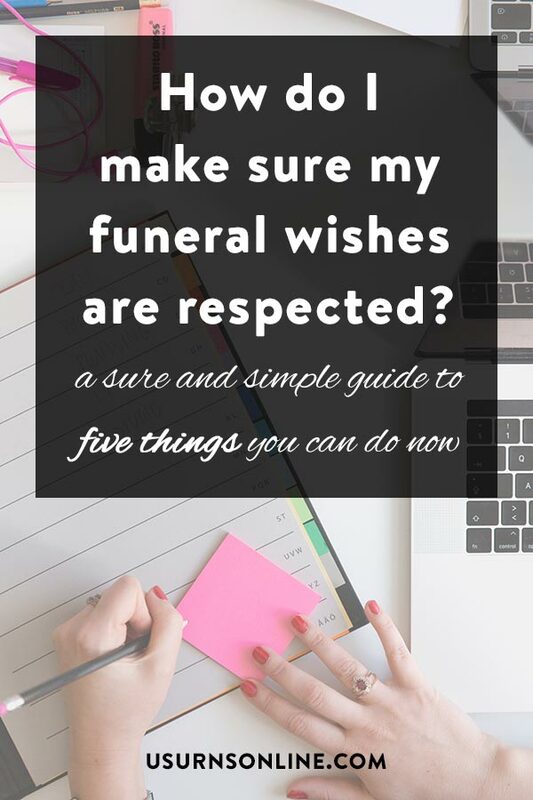 In most instances your family, friends, and loved ones are more than happy to respect and carry out your funeral plans, all you need to do is tell them. Make several copies of your funeral arrangements and give one to your spouse, to each child, to a close friend, to a pastor, priest, or mentor, to a cousin or aunt. Date each copy and keep a list of who you have given your plans to, in case you change or update the arrangements. However, not everyone enjoys ideal relationships with family members, and even with those closest to you there can be deep disagreements on important issues. Perhaps you want to be cremated and have your ashes planted to grow a tree, but your children wanted you buried in the old family cemetery plot. Or vice versa. Maybe you are concerned that those in charge of your affairs will skimp on your funeral expenses, add religious elements that you did not want, or take away important elements that you did want. 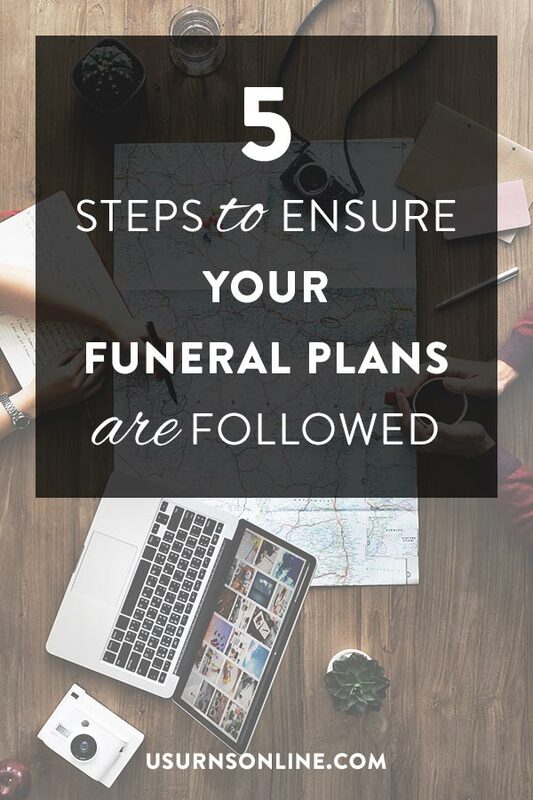 If any of these are or may become issues, you will probably want to take extra steps to make sure that your funeral plans are followed. Read on for some additional tips. Do keep in mind, though, that simply writing out your wishes in plain language and making them known to several people can have a very powerful effect. Most people will find it very difficult to intentionally violate the stated wishes of a dead person. To do so would cross layers of moral, religious, cultural, and emotional boundaries. So do not underestimate the power of writing out your funeral plans and making them known. 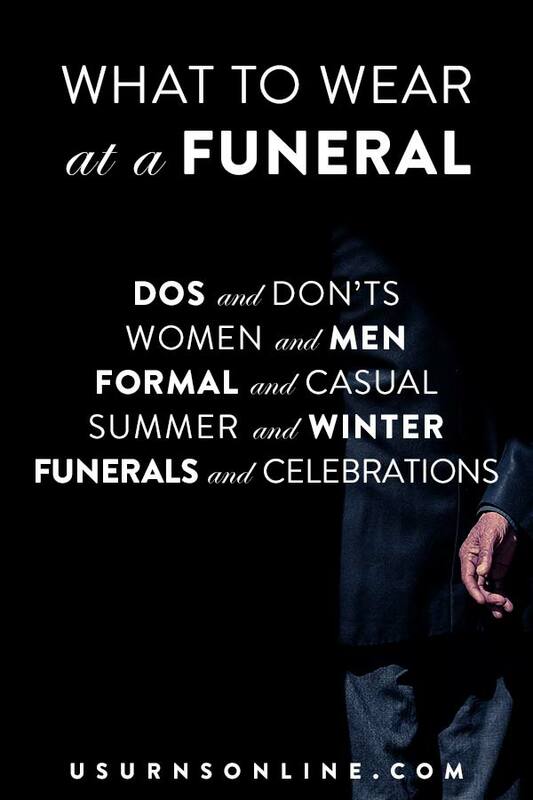 This could in fact be the best way to make sure your funeral plans are followed. Money goes a long way. When you plan out your funeral, pay for as much as possible ahead of time. If your other family members have different ideas about what to do with your body and for your funeral, it is far less likely that they will choose to pay out-of-pocket for something when there is a “free” option (free to them, at least, because you’ve already paid for it). There are many ways to pay for your funeral arrangements in advance. 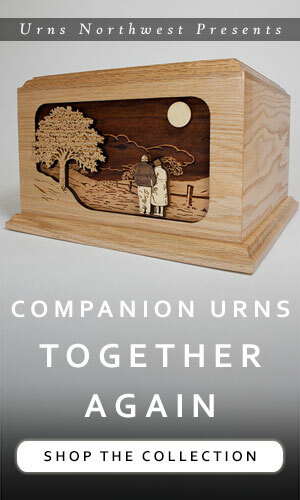 You can – and we think you should – purchase your cremation urn ahead of time. 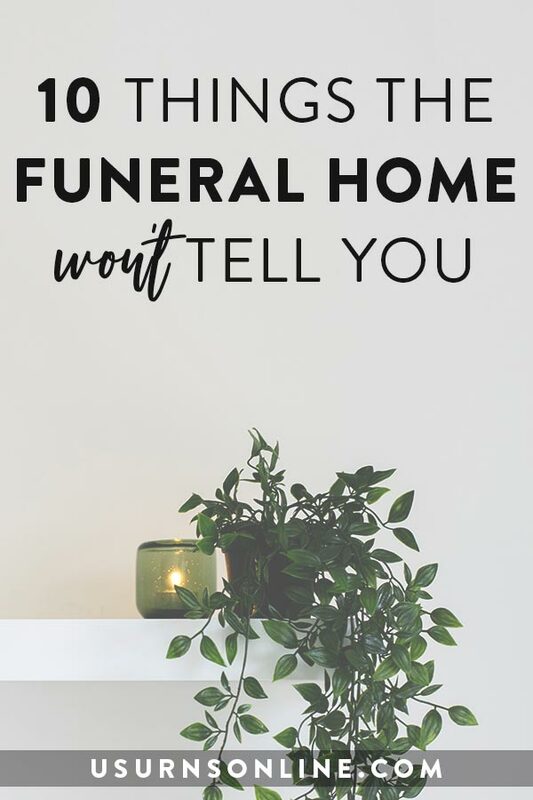 This gives you the time to shop around and get it exactly right, and purchasing online saves you often hundreds of dollars over the options at a funeral home. Plus it is an easy item to store in your home. If you are not going to be cremated, well, it is a little harder to purchase and store a casket in advance but it can be done. Consider paying a reputable local craftsman to make a casket for you, perhaps with a down payment now and the rest at the time of death. 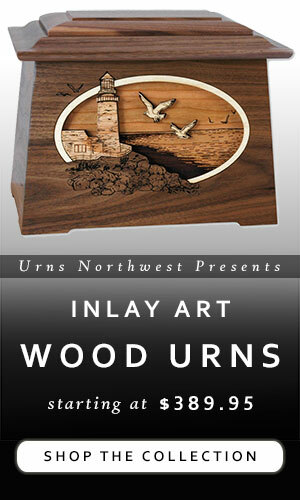 Or purchase a casket online and tuck it away in your garage or storage unit. You can also reserve a cemetery plot for burial or a columbarium niche to hold your cremated remains. Headstones and monuments can be chosen and paid for ahead of time, leaving only the death date to be added when the time comes. Smaller and more personal items can be bought or created and stored in your home. 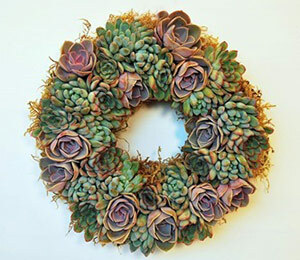 Beautiful and creative funeral guest books, a music playlist, a video montage. Choose the photograph you would like to be displayed, and have it printed and framed ahead of time. A popular option that will likely be suggested by the funeral home is to purchase a “pre-need” funeral plan. This allows you to choose all the products and services you want and pay for it in advance, either in a lump sum or in installments. However, most financial advisors would recommend against such a plan. For one thing, what happens to your money if the funeral home goes out of business? What if you move? Prices often increase over the years, how does is that taken into account? Sometimes there will be fine print that includes fees that cover rising costs or additional expenses, listed as “final expense funding” or something like that. Often the money you pay for the pre-need plan goes into a separate account; if so, who gets the interest? For all these reasons a better investment may be a payable-on-death (POD) account such as a Totten trust. This provides you with a way to set funds aside, collecting interest, that are paid out to a beneficiary upon your death for the purpose of paying for the funeral. Despite the better investment angle, a POD account still leaves the issue of how to ensure that your funeral wishes are honored and carried out. While the pre-need funeral plan has many downsides, it also guarantees that everything is done exactly as you specify. An advance directive is a legal document that describes your wishes for medical treatment should you become incapacitated. Many advance directive forms include a space to detail your wishes beyond just medicine, including whether a priest or pastor should be called, who should or should not be present at your death, and more. This can be used as a space to describe some of your funeral plans. Ideally you would also write out your funeral plans elsewhere, but it is also a good idea to include them on a legal document that will be used when you are unable to communicate and possibly near death. While advance directives differ for each state, and are somewhat limited in scope, the effect added by including your funeral wishes in an official legal document adds a degree of authority to your funeral plans. Other legal forms that can be used, to some degree, in this manner include living wills and designated agent forms. The Funeral Consumer Alliance has a wonderful resource that lists, by state, the documents you can use to specify your end-of-life and funeral arrangement wishes. Sometimes that document is an advance directive, other times state-specific documents are available You can read it here. A durable power of attorney is another legal document that appoints a person to act in your place should you become incapacitated. If you have someone you fully trust to carry out your funeral wishes, you should assign them durable power of attorney over your affairs. This enables them to make medical, legal, and financial decisions in your place. You will want to be clear with this person about your funeral wishes, as well as other matters relating to end-of-life decisions and your finances. Go back to items 1 and 2 on this list, write out your funeral wishes and have a long and frank conversation about them. If you trust this person and they agree to carry out your wishes, durable power of attorney grants them the legal permission to act in your place. This will help make sure your funeral plans are followed. 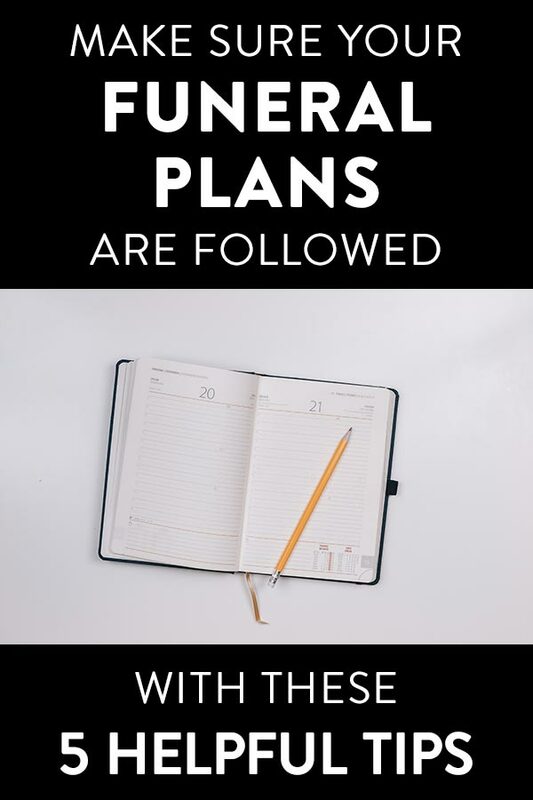 It was helpful when you said that planning your funeral ahead of time can help you to make sure that your funeral plans are going to be followed. My husband and I have specific wishes for our funeral. We wanted our funeral package to have the things that we consider important, so we’ll make sure to consider all your tips. Thank you for pointing out the idea of paying in advance if I ever want to make sure that everything that I have planned for my funeral is followed. I am a bit meticulous, and of course, even in my own funeral, I think it makes sense to apply this. Since there is no other person who knows what I truly want, I need to make sure that I invest in it as early as now. I like how you mentioned that when planning for a funeral, it will be best to go for a pre-need funeral plan. Doing so will not only allow me to choose the necessary arrangements for the funeral but also be able to pay it in advance. I recently had a conversation about our future plans as a family with my wife over dinner. With that, I will share with her what I have found out with your article and we will be looking for companies offering a pre-need plan in a few weeks time to get the ball rolling.